In general, it’s a good idea to have representation during divorce. That said, it’s also important to trust your divorce attorney. But what happens if you don’t? 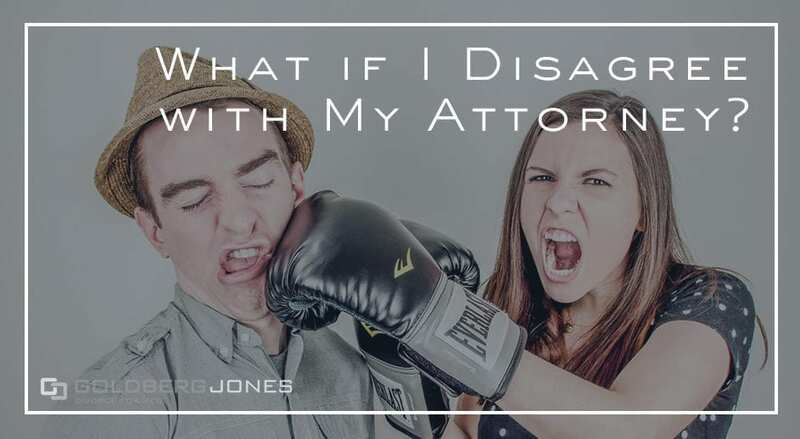 What can you do if you disagree with your lawyer? Rick Jones, one of our founding partners, regularly appears on the Danny Bonaduce and Sarah Morning Show, where he addresses family law questions from listeners. One recent caller has a complicated situation that involves not only divorce, but inheritance, likely spousal support, and ongoing health issues. To make things more confusing, he disagrees with his attorney’s approach to his case. What can he do? “Going through a divorce. I was diagnosed with Parkinson’s Disease three years ago. My wife has never really supported me, then last year my mother died. I already know that the things I get from her are separate property, except we own a house together because we’ve been married 37 years. “She’s never supported me with the disease, never went to one of my doctor appointments or anything. Now we’re in the middle of a divorce, and all I’m asking for is half of the house. Let me jump in on this because I’m actually hearing things I hear quite a bit on the first time I talk with somebody. You’re going into this with this idea: ‘I don’t want to touch this, I don’t want to touch that, but I want to be taken care of.’ You’re defining a rule you don’t need to. “Forget trying to play it your way. “The reality is, you have a house to be divided. But there’s probably other assets as well. There may be issues with disparity in income in the way of spousal support, and you’ve got very interesting story to tell in terms of what your need is going to be in the future. “You’re likely to have a greater need than she is for the upcoming years. So, don’t go in saying, ‘All I want is half the house.’ Go in with an open book, allow your attorney to assess the situation and tell you what areas of leverage that you do have. And frankly, just like Danny said earlier, recognize that this isn’t fun and games. You need to take care of yourself moving forward.